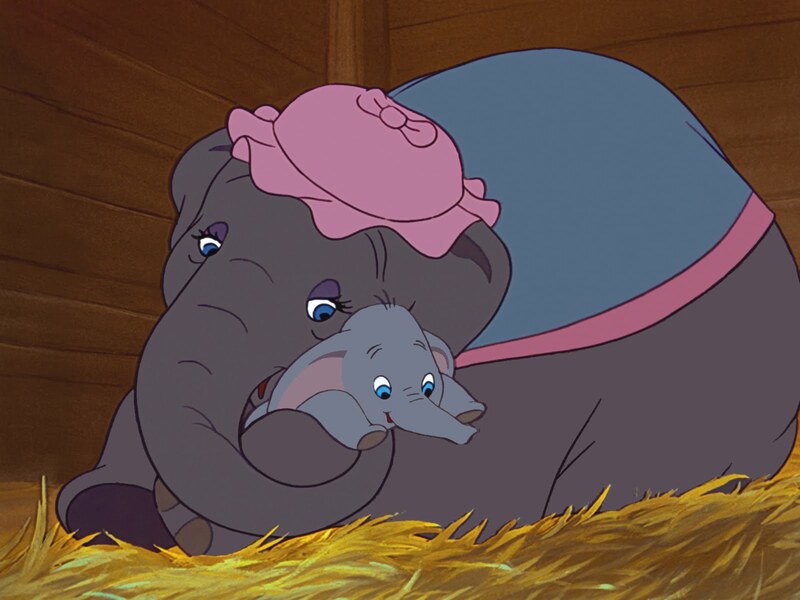 Even after 70 years has passed since the world was introduced to Disney's Dumbo, this film tugs at the heartstrings of all Disney-lovers young and old. We watched this DVD as a family with our 7.5 year old son and 4.5 year old twins. Being barely over an hour in length, this movie is great for younger children with short attention spans. With the whole story based on a single thing . . . everyone's reactions to baby Dumbo's enormous ears, this film touches on a wide variety of topics, which may prompt questions from your child or open windows of opportunity for you to start important discussions. Our children easily accepted that babies are brought be storks, but I could tell that they were truly affected and made to think about the subjects of teasing and the concept of being an orphan. Our oldest son even asked questions about drunkenness. This movie also is about unconditional maternal love, friendship, self-esteem, and lifting someone up when they are down. Even though there were some parts that even brought our 7.5 year old close to tears, this film is also uplifting. The whole family enjoyed it very much. I think the children all agree that the act by the circus clowns was there favorite part. We also all enjoyed the Bonus Feature about how elephants came to be afraid of mice. 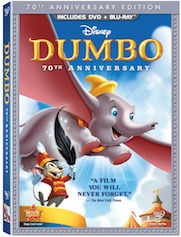 Dumbo the 70th Anniversary Edition is now available on DVD and Blu-ray/DVD combo. 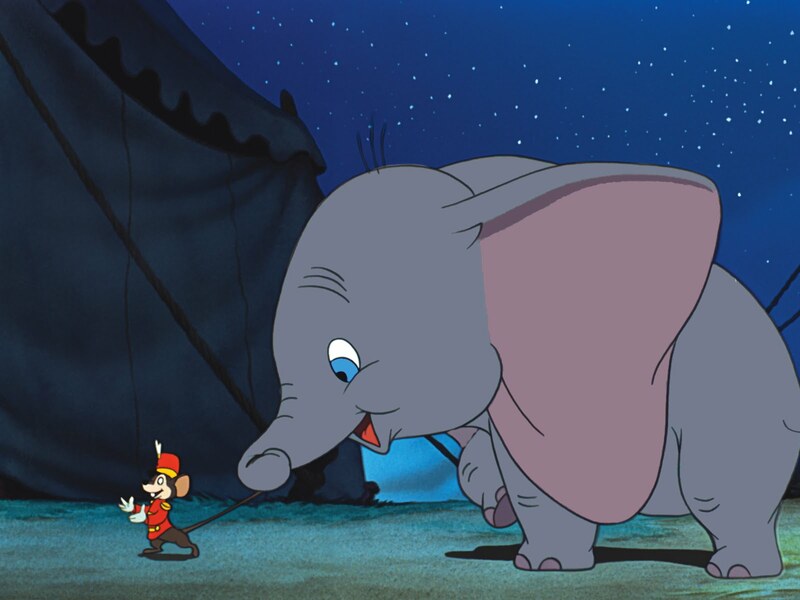 Learn more by visiting Dumbo on Facebook. Also, check out these free Dumbo printables for your children. Thank you to Click-Communications for providing a complimentary product sample for us to base this review upon.